allowing maximum grip and minimum wrist distortion. Blade slider held permanently in place whilst a magnet holds working blade in place. Spare blades held securely so there is no edge damage and no rattle, and features a hinged opening mechanism. 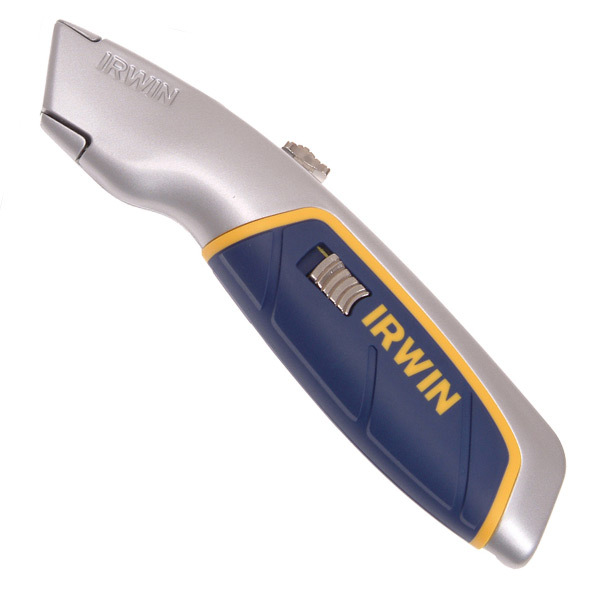 Patented quick blade release for easy renewal of sharp blade edge.